Okay, so you want to learn a new language. That’s absolutely, positively awesome! It’s one of the best decision you’ll ever make. So, when do you get started? How will you go about it? What motivates you to learn that language? These are all things that should be crystal clear to you. In order to be successful in language learning, or anything in fact, you must set clear goals for yourself. This allows you to keep your eye on what you want to accomplish while increasing the motivation to move in that direction. In this post, we will talk about the 5 steps required to set effective language-learning goals. HAVE A PRECISE GOAL IN MIND. The first step of setting goals for language learning is to know precisely what you want to attain and the time frame in which you will achieve that goal. The more detailed your goals are, the more likely you are to achieve them. “I want to learn Polish” doesn’t really mean anything in terms of goal setting. If you don’t know exactly what you want, it will next to impossible to make a goal plan. Aim for something that is challenging, yet achievable. You might want to say: “I am going to Paris in 6 months and I want to manage without speaking any English during my trip”, or “I want to become an official government interpreter in 3 years”, or “I want to understand the Wookiee language before the next Star Wars. And what the heck is that Chewbacca fellow saying anyway?” Now, the steps and actions required to reach these goals will be entirely different. Having a precise goal along with a time limit or deadline will allow you to start creating your goal plan and will give you something to hold on to, which is absolutely crucial to be successful in language learning. Now that you have your final goal in mind, you can start looking at how you’ll get there. Goals are just like travel itineraries. If you decide you’re going to New York in 3 weeks, you’ll need to work on how to get there, how long it will take and the difficulty of the task. Will you have to cross the ocean? What means of transport will you have to use? Are you going to drive there? If so, what are the roads leading to New York? Will you be taking the slower back roads or the interstate highway? Goals work in the exact same way. You need to break down your plan into several short term and long term goals. 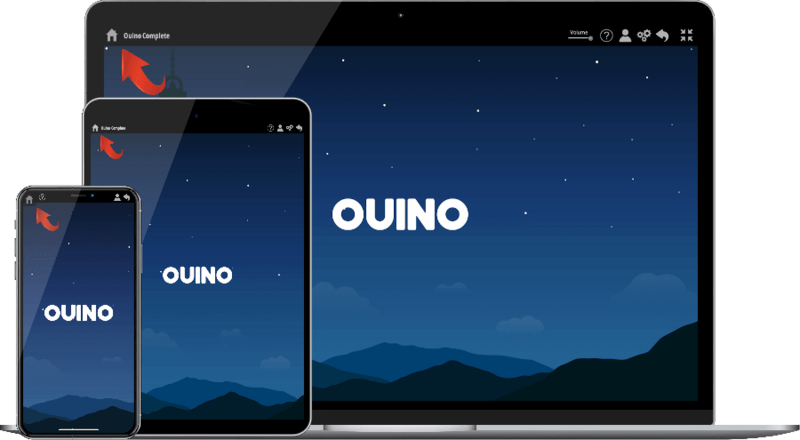 For example, you could set your daily goal to be “I will complete at least one Ouino lesson a day”. A weekly goal might be “I will have at least 2 video chat conversations with a native speaker”. And a month goal could be “I will be able to translate the entire Macarena song”. Of course your goals will constantly evolve. Once you achieve your current goals, move on to different ones. It should be something that you do not feel confident with right now and wish to improve within a given time. Breaking down your final goal into smaller attainable ones will boost your motivation and language-learning success in a big way. Several studies have shown that those who physically write down their goals accomplish significantly more than those who don’t. Even if you have a clear goal plan in your mind, you will improve your chance of success significantly if you take the time to write it down (preferably by hand) and read it multiple times a day. In fact, if you have ever read or plan on reading books on achieving success, they almost always start by telling you to write down concrete and precise goals. Writing your goals and reading them frequently is like self-hypnosis, like training your brain to believe in your cause. Your brain will start to believe anything you repeat often enough, whether it is “I will succeed” or “I look like a reindeer”. Now, when you write down your goals, don’t be afraid to put yourself up for a challenge, aim high! And most importantly, always write your goals in the future tense, “I will do this, I will do that”, never “I want to do this. I would like to do that”, which will only drown your goals into the black hole of procrastination. We all have goals and ambitions. The sad truth is that a lot of them will never happen. Why? Simply because we are very good at assuming that things will magically appear one day. There is a huge difference between a hopeful wish and a goal, but you can easily transform a wish into a goal by setting up a plan and getting started right now. Stop waiting for the perfect moment to get started, it will never happen. Mark Twain once said: “The secret of getting ahead is getting started.” We couldn’t agree more Mr. Twain! Getting started as soon as possible is the way to go! You will eventually reach a point in your language-learning journey where you’ll want to give up on the whole thing. You might start losing track of your goal. Don’t fall for it! It’s a trap created by evil gnomes! Learning a language is a great journey with many ups and downs, but it’s also one of the most satisfying and beneficial thing you will ever accomplish. If you start to feel the wave of discouragement coming your way, don’t let yourself drown. Instead, focus on the things you enjoy doing and remember to be satisfied with the baby steps you make every day. If you have goals, and stay true to them, progress is inevitable. If you make a little progress every day, it will add up to become the goal you set yourself, and that my friend is one of life’s most rewarding experiences. If you enjoyed this post, feel free to share it with your friends by using one the social links below. If you want to include a great language-learning method into your goal setting routine, check out our website at Ouino.com. Thanks a lot! Until next time!